With nearly 400 stores across five countries, we're a one-stop source for domestic, international, and freight shipping services. When you visit your local Pak Mail in Perrysburg, we'll find the most cost-effective, safe way to pack and ship your items, whether it's by air, ocean, or ground. 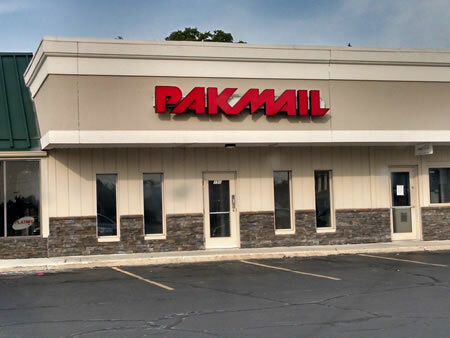 Welcome to Pak Mail of Toledo! Pak Mail of Toledo is located in Perrysburg in the Country Charm Plaza next to Ken’s flower shop. We are the most complete packing and shipping business you will ever use. Do you need to ship one or a couple pieces of furnture? Have something to send internationally? Does it need packed or crated? You've come to the right place. We help our customers do everything from mailing an international letter or package to crating a large piece of equipment for cross country shipping. Unlike other packing and shipping stores we can ship with all major carriers like; UPS, FedEx, DHL, USPS, and more. This gives you the opportunity to compare rates and delivery options, providing you with the best value for your shipment. In addtion to standard packing and shipping services, we specialize in furniture, large items, custom crating, and freight shipping. We also offer a variety of convenient services like; private mailbox rental, copy and fax services, document shredding, and more. Stop by or contact us for more information.